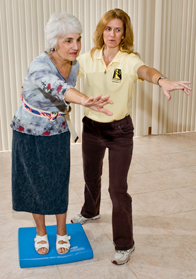 Nursing care is one of the primary home health services Avery provides to patients. Patients often require a level of service that can only be given in the home setting due to limited mobility stemming from a debilitating illness or injury. In such instances, Avery’s highly skilled registered nurses can provide services above and beyond typical hospital care. Is Avery Nursing Care Right For You? Patients that benefit most from Avery nursing care are typically those who have recently returned home after hospitalization or surgery and require continued out-patient care, and patients who have been diagnosed with a disease or illness that requires a structured home treatment plan. Avery uses a team approach to develop a comprehensive treatment plan that addresses patient need. Referring physicians, Avery’s own health professionals and patients themselves all have a special hand in crafting an appropriate treatment regimen. Nursing care and skilled care as part of a complete home health care plan. Working together with doctors to promote patient progress toward wellness. Educating patients and family members about the disease and disease process. Educating patients and family members concerning prescribed medications. Enabling patients to become more independent in managing their own treatment is a priority to Avery clinicians because we know that a feeling of control is vital to patient recovery, helping to maintain a positive state of mind.